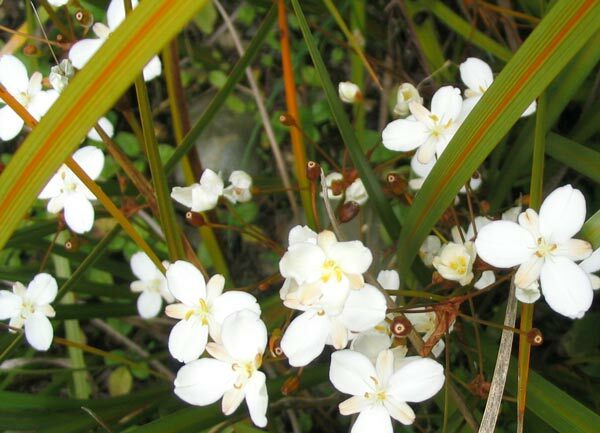 Libertia Perigrinans has quite a different feel and look than other strappy plants of its size. The short pointed spears are stiff, and look painful (they're not). They stand upright in the strongest winds, and dogs charging through the garden can't squash or flatten them. In summer there are smallish clean white flowers followed by marble sized seed heads which are also a burnt orange colour. Smaller new plants appear close by, and are easily removed and planted elsewhere.